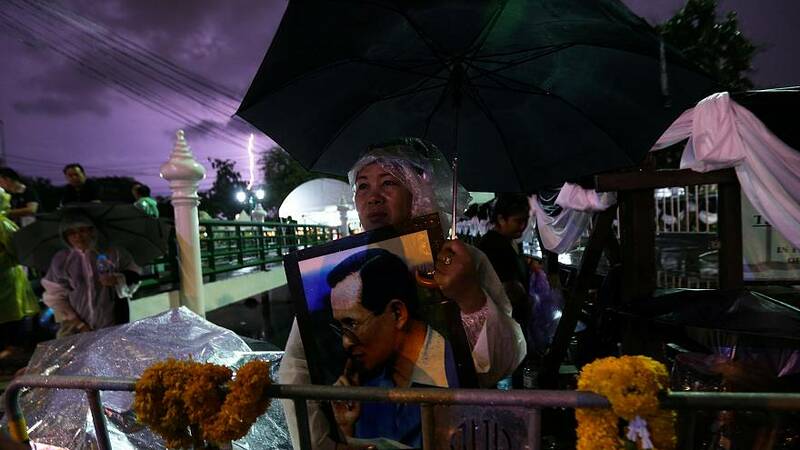 Thailand on Wednesday marked the start of a lavish, five-day funeral for King Bhumibol Adulyadej, who died last year aged 88. King Bhumibol was regarded as a pillar of stability during a reign spanning seven decades. His son, King Maha VarjiraLongKorn, led the ceremony inside Bangkok’s Grand palace. The Buddhist funeral ceremony was mixed with Hindu rituals, and was attended by more than a hundred monks chanting prayers. Meanwhile, crowds of mourners snaked around the capital’s streets, queuing to enter the area where the King’s body will be cremated on Thursday, in what’s been declared a national holiday. People have been gathering there since Sunday night to secure a spot and get as close as possible to the ceremonial ground. Mourner Yuwadee Tyler, who came from Tasmania, said her heart was “broken” when she heard news that her king had passed away. The five-day ceremony took nearly a year to prepare, and the cremation is expected to draw around a quarter of a million people.